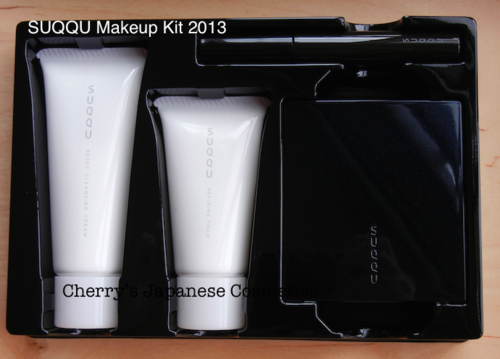 1st of Nov, it was the sales day of Suqqu’s holiday season coffret, “Christmas Makeup Kit 2013”. We got some of them, and let us show you its photos. They are in one big plastic plate. 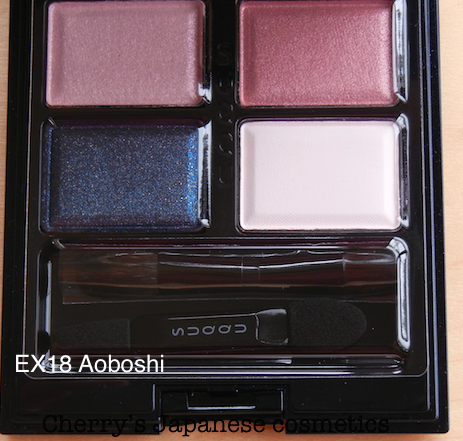 It is dark black-blue with lame that the Blend Color Eyeshadow Palette’s Case is. When we ship, we use those, yellow or black tapes to not leaking. 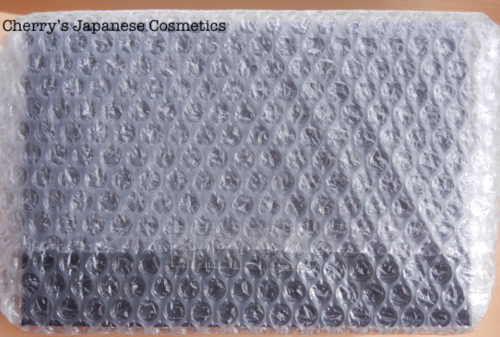 Those tapes are called as “masking tape”, they are for decollation, and pretty easy to rid of, without damaging. In the sales image pictures, they seemed different, but for me, seems there are no big difference. B is a little bit brighter. Actually, this poach is pretty heavy. In my opinion, useless. There is a magnifying mirror in the poach. There are no difference between A&B. In this year, we accepted the order separately. 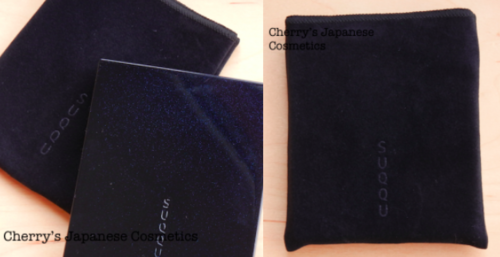 As we showed you in the initial 2 pictures, the items are in one big plastic plate. 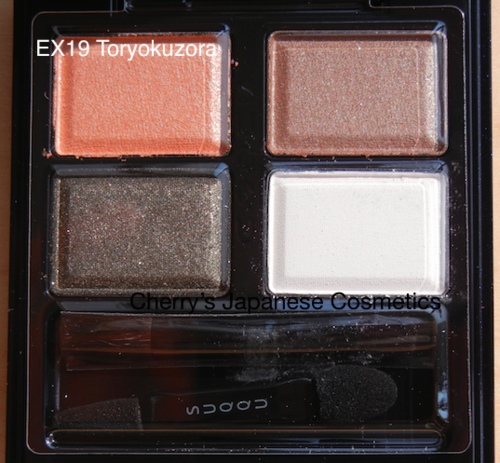 The blend color eyeshadow has a black sleeve, as usual. Fortunately, we have a good sized paper box. Wrap again. (Note; this box is limited, and we do not always ship with it. Actually most of the boxes are some how damaged when we obtained. 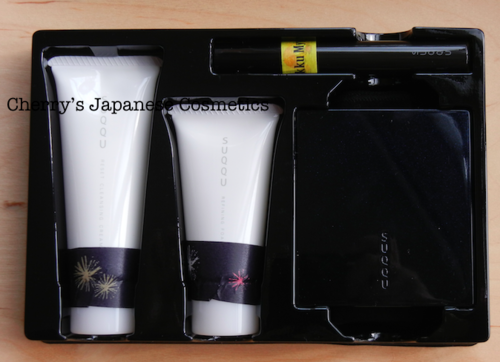 This kit is a limited, and there are no damages in powders. We can not ask the shops to change. We also wrap this big box. To ship to you, we used a used box with cushioning. 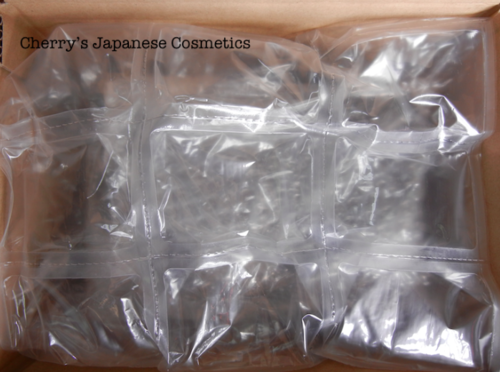 It is to protect our environment that we are using used boxes (of course good – enough condition to ship abroad), the box cushioning way is not always the same with this picture.